Angle adjustment from horizontal (0°) to 45°. 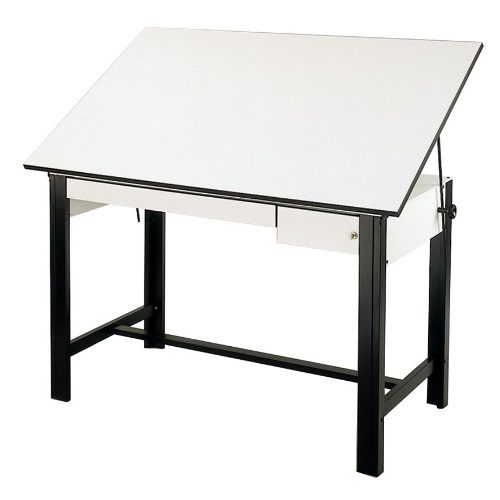 Tabletop board and supporting panels are made of 3/4" therma-fuse Melamine. Tool drawer is supplied with lock and equipped with ball-bearing slides. Top Size: 37.5" x 72"